Many want to write a Christian children’s book. That’s God-given motivation because children are bombarded from every side with messages that teach them materialistic and hedonistic values. We need more and better Christian children’s books to counteract those influences. We need Christian writers to create fascinating Christian books for children to teach them how to apply biblical principles to daily life. Many Christian authors tend to want to rehash Bible stories. There are a plethora of children’s books that already cover that territory. We need Christian children’s books that teach biblical principles about relationships, finances, sexuality, the workplace, and about the nature of personal and spiritual freedom. Such books, when they are well crafted, are likely to be controversial and sell well. More importantly, Christian children will receive affirmation in these books about Christian values. Recently, I edited a children’s book for a client and prepared it for publication. The premise was good — it was a “road story” adventure about discovering the fruits of the spirit. Overall, I felt the story would appeal strongly to 6-9 year-old girls. If it had contained a leading male character, it would have had wider appeal. What concerned me most about the book was not the plot or the banter between the girl character and the “Christ figure” who was leading her through the adventure. However, often when the Christ figure spoke, he got preachy. His speeches were long and he used words that were probably beyond the target audience. To me, that points up a serious problem for the authors of Christian children’s books. They think like adults and then try to dumb it down for children. That never works because children function on a different cognitive level. How can you get on that level before you start writing? I suggest you pick a particular age group for your book and spend time with that age group both individually and in small groups. If you have children, you probably think you have this covered, but that’s unlikely to be true. Your children respond to you in a way that is far different than the way they respond to other adults. What is your purpose in spending time with children like this? It is not to act like an adult with them. You want to get down and dirty with them and play. You want to talk to them on their level. Most importantly, you want to hear them. Not just listen to them, but hear them. When you allow yourself to get on the same cognitive level as your target age group, you can start asking them simple questions about the story you have in mind. In fact, you might tell them part of the story and asked them to finish it. You can even ask the bigger questions that might apply to the topic of your book. If you’re writing about Christian stewardship, for example, asking a 7 year-old whether God cares if they borrow money to buy an ice cream cone would yield a fascinating answer. Do you see what I am saying? You must get inside the head of the young reader, or the person being read to, before you can communicate on their level. Children of different ages operate on different cognitive levels as Jean Piaget taught us. They apply to all children and it is difficult, if not impossible, to write a children’s book if you do not know your audience. 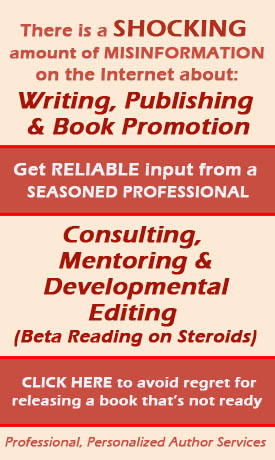 Once you know your topic and your age group topic, make a decision about the practical elements of your book. Your content is important, of course, but the presentation of that content is of particular importance when you write a Christian children’s book. Picture Book, age 0-3, zero words, illustration on every page. Young Picture Book, age 2-5, 200 to 400 words, illustration on every page. Trade Picture Book, age 4-8, 400 to 800 words, illustration on every page. Beyond this, authors move into the Young Adult (YA) book category, and those authors face a different set of issues. The YA group also needs books on the biblical principles about relationships, finances, sexuality, the workplace, and about the nature of personal and spiritual freedom, but that is a different topic. The dimensions of your children’s book are important. You want to choose that at the beginning and create your illustrations to fit. The layout of your book is important to your readers and so you plan that before you start writing or creating illustrations. By the way, many Christian writers partner with an illustrator. If you’re working with someone, you want to be sure to plan so that the high resolution images you need are correct from the start. Popular sizes for children’s book in landscape format is 5.5 x 8 inches, but you must add to that if you want your images to fill a page (the bleed). In chapter books, the 6 x 9 portrait format is good. You’ll have to decide if you want paperback or hard back editions, or both. Many authors dream of having their children’s book in hardback, but they are expensive to produce, and the price may discourage purchasers. The key to success in this area is planning. Decide what size and format you want to use, and the page count, and write and create illustrations to that standard. There are two other considerations that are part of your planning. First, recognize that almost all children’s books are full-color. That makes them more expensive, especially in short runs like Print on Demand (POD). Your sales price will be far higher than a big publisher who printed 25,000 copies of their color children’s book by the Offset method in China. The second consideration is whether you should do an ebook edition. Most new children’s book authors think their book will look the same in print and on a tablet or ebook reader. That’s not true. Most ebooks “flow,” and that means text and images will change positions due to the type of ebook reader used, and the type size the reader selects. It is possible to get your children’s book to look like your print version, but that is an expensive proposition. 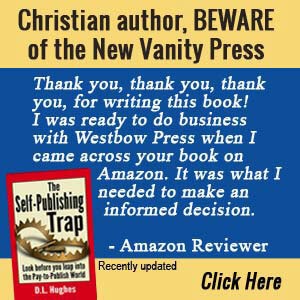 Big publishing companies can afford to do this, but most self- publishers will allow their ebook to flow, if indeed they decide to publish an ebook edition at all. When you understand the cognitive levels of children, as I mentioned, then you come to realize that your words have it in ordinate power over young minds. They are ready to absorb information in new ways at each age level, and you can write stories that will enthrall them and guide their lives. What can you do to write with indelible power? As Christians, we recognize that we are involved in a spiritual battle (Ephesians 6:12-13). That plays out in everyday life, and you need to take that into consideration even if you are writing about a snail and a worm in a garden. Children want to be like heroic characters, and you need to give them a role model. The Chronicles of Narnia by CS Lewis is the perfect example of how children identify with powerful characters and seek to emulate them in all areas of their life. You can do that too, regardless of the scale of your children’s book. Many Christian book authors seem to want to start with descriptions of characters, the sunrise or the condition of the backyard. That’s boring to children. Grab their attention with action or conflict. It might be a small skirmish to get things started, but all the best children’s books have unexpected events that draw them deeper into the story. In the Christian genre, there is usually a moral to be learned from every event. That’s fine. But write in such a way that the moral is obvious, not thick like peanut butter on a sandwich when you’re famished. Show the moral in the action rather than have some character preach it. Your book needs an interesting plot regardless of the age level. Cut narrative and increase dialogue. Children love dialogue. You want to write dialogue that jingles and jangles along, not precise, full adult sentences. One of the best ways to write realistic dialogue that appeals to children is to visit your local library and read books aimed at children in your target age group. When I was growing up, one of my favorite TV cowboy shows was, “The Cisco Kid.” It always ended the same — sidekick Poncho made some lame joke to Cisco and the two of them laughed. That is so common that we have a cliché for it in film and books that says, “Leave them laughing.” That is never more important than in the children’s story you write. You must always have a happy ending. If you have dreamed of writing a Christian children’s book, I would urge you to start today. Remember that you start with planning, not with writing. When you plan your book well, and then do your best job of writing and illustrating, then you will make an important contribution to the lives of many children. We Christian writers know that our writing has eternal consequences, and there is no better way to start on that path than writing books that spark Christian values and remain in the memories of children.